Battlelines is a series of books displaying the work of a remarkable set of men: the Specials, sketch artists sent into the field by publications such as Harper’s Weekly and Frank Leslie’s Illustrated Newspaper, to record what they saw of the armies and battles of the Civil War. 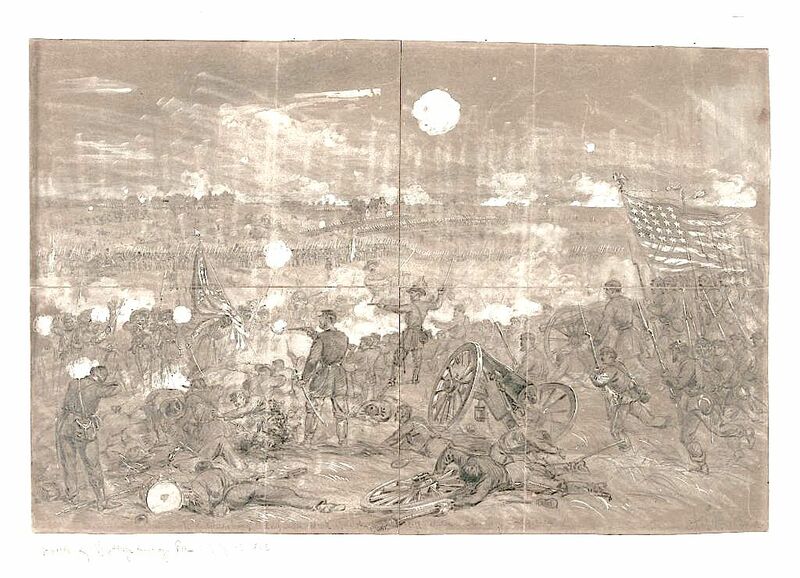 The drawings they produced are a unique and rarely seen record of what the war looked like – something we do not get from the many photographs associated with the Civil War. 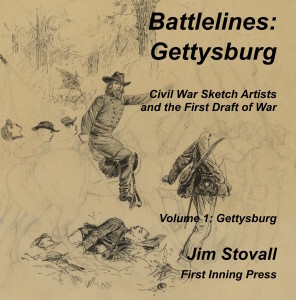 Battlelines: Gettysburg is the first volume in this series and contains more than 70 images by Alfred Waud and Edwin Forbes, the two Specials who covered that famous battle. Many of these drawings have never been published before. 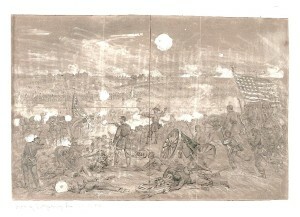 Together, these drawings give the reader a unique view of the battle, one ever the most informed scholar of Gettysburg has never seen. Get you copy of Battlelines: Gettysburg (and buy a copy for you Civil War-crazy relative or friend) today at Amazon. 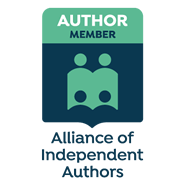 Battlelines: Gettysburg is currently available at CreateSpace, Amazon’s self-publishing outlet, and the Amazon bookstore. The retail price for the print edition is $39.99. They were all men, and they could draw, but otherwise they had little in common. They had different personalities and backgrounds, and a few of the more important and famous among them weren’t even native-born Americans. They had various levels of experience in art and in life. They had different points of view and different artistic styles. They used a variety of equipment. Some of them loved the adventure and excitement of what they faced. They raced from camp to battle to see what they could see. Others had little taste for the field and much preferred the relative quiet of the home office of their publication or even their working studios. They worked in far-flung theaters of the war, in mountains and valleys, on land and sea, on foot and on horse. But one thing they shared was the ability to see and to record what they saw so that it made sense to others. They knew how important their work was, the need that it satisfied in an age that was becoming accustomed to the visual. They understood the stakes of the war to the participants, to the people back home, and to the nation itself. They tried to tell the truth with the tools they had. They knew that telling the truth was, ultimately, the only route they could take. They were all fairly young men, mostly in their 20s and 30s. They had to be. The special who stayed in the field for any length of time faced hardships of hunger and exposure that only the young can endure. They were considered combatants by enemy soldiers and had to constantly avoid death or capture. And, like other soldiers and some civilians, they saw first hand the horrors that modern warfare could inflict on humans and the devastation that it could wreak on the land. All of the Specials suffered the frustrations of every journalist working at a distance from the home office. Their editors did not understand exactly what they did or how they operated. The editors made impossible demands, kept up constant pressure on them to produce, and handed out few words of thanks. Their work was sometimes edited and changed in ways they did not like and would not have allowed had they been closer to the press. Sometimes even, others took credit for what the Specials did. Today those specials share another characteristic: anonymity. 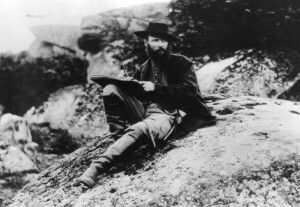 Modern readers see the Civil War through the starkly beautiful photographs of Matthew Brady, Alexander Garner, Timothy O’Sullivan and others. Their work is mostly portraiture of the people involved and occasionally battlefields after the battle has occurred. And some readers see the paintings, lithographs and woodcuts of contemporary publications, such as Harper’s Weekly and Frank Leslie’s Illustrated Newspaper. These images are based on the work of the special artists in the field, and many of them are faithful reproductions. 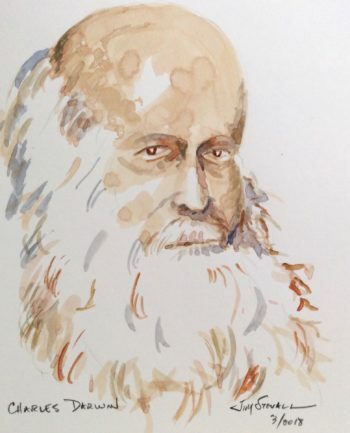 But relatively few people have seen the work of the artists themselves – the drawings they made on the battlefields and in the camps. That work had never been deemed worthy of much consideration. Indeed, too much of it was discarded, much like a reporter’s notes after an article has been written and published. 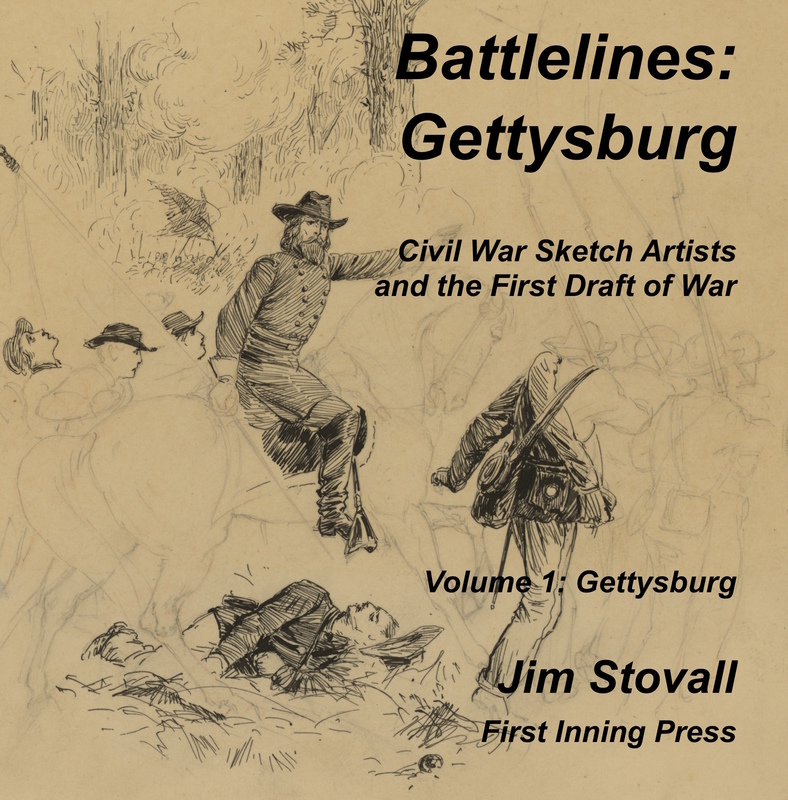 In these Battlelines volumes, viewers will come as close as they can ever get to actually seeing the battle and armies of the Civil War, filtered only once, via the hand of the eyewitness artist.